What does a Mathematician do? A mathematician works for business, the sciences, government, and engineering and conduct research to develop and understand mathematical principles. They also help solve real-world problems by analyzing data and applying mathematical techniques. They may also work with chemists, industrial designers, or chemical engineers. A mathematician requires at least a bachelor’s degree in mathematics, while jobs in private industry typically need an advanced degree like a master’s or doctorate degree. Bachelor’s degrees can be obtained through most colleges and universities with courses in calculus, abstract algebra, linear, and differential equations. Students may also be required to take courses in a related field such as engineering, physics, or computer science. Computer programming courses may also be helpful because mathematicians often work with data analysis software. High school students that are interested in this career field should take as many math courses as possible. The duties of a mathematician may vary depending on their field of work. However, they typically develop new mathematical theories, concepts, and rules in areas like geometry and algebra. They use these theories to solve problems in the sciences, business, and engineering fields. They use mathematical models and formulas to prove or disprove theories, analyze data by developing statistical or mathematical models, and interpret data and report conclusions drawn from their analysis. A mathematician uses data analysis to support and improve business decisions. He or she maintains their knowledge of current trends by attending professional conferences, reading professional journals, and talking with other mathematicians. If you enjoy solving puzzles and have a good head for numbers, you might be interested in a career as a mathematician. These workers use equations to solve both academic and real-life problems. Theoretical mathematicians use equations to develop new rules, disprove existing mathematical theories, or create new ones. They may develop methods to solve problems emerging from science and engineering fields. They often work for research firms or teach math and conduct research at colleges and universities. Applied mathematicians address an almost endless variety of problems, from making aircraft more aerodynamic, to programming models for a video game, to designing and deciphering encryption systems for the military and financial industries. Applied mathematicians work in industry and government, dealing with robotics, pharmaceuticals, space exploration, and more! Despite the differences between applied and theoretical mathematics, these areas often overlap. Many mathematicians, particularly those in government or private industry, use both applied and theoretical knowledge in their job duties. Mathematicians, however, are a relatively small occupation. Most people with a degree in mathematics or who develop mathematical theories and models work in related fields and professions, such as information technology. Some become math teachers in a middle school or high school. This typically requires a math degree and a teaching credential. Government jobs require at least a bachelor’s degree in math. For private industry jobs, a master’s degree or Ph.D.is usually expected, and in academia, a Ph.D. is needed. So, is this challenging career in a fast-growing field the right choice for you? You do the math. Bureau of Labor Statistics, U.S. Department of Labor, Occupational Outlook Handbook, Mathematicians and Statisticians. National Center for O*NET Development. 15-2021.00. O*NET OnLine. The career video is in the public domain from the U. S. Department of Labor, Employment and Training Administration. 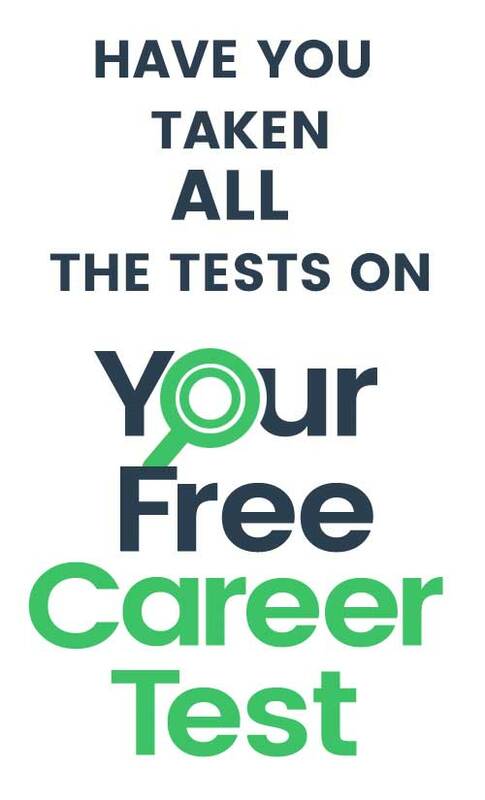 Check out all the free career tests.